UPDATE: Recently, Yahoo removed the ability to import contacts from Facebook. The option may be added back in the new Yahoo Mail, but we don't know for sure. We will update our content should this option return or if any other alternatives to export Facebook contacts be uncovered. 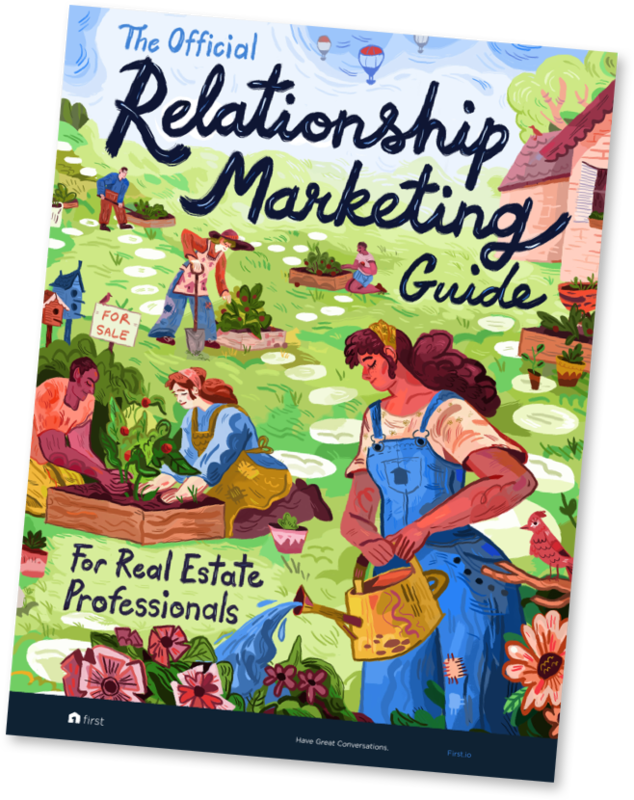 Facebook has become a central contact database for many agents, which is awesome, until you realize that it can be pretty tricky to pull their contact information out of Facebook and into your CRM, or your super awesome predictive software platform. The good news is - we found a workaround! Follow these simple steps to make sure that you are tapping into the potential listings in your Facebook friend list. But be quick about it! Facebook is known for changing up their platform constantly, so this may not work forever. You'll need the Yahoo Account to get your contacts out of Facebook. You'll need the Gmail account to get your contacts out of Yahoo. From there you can sync your Gmail account or export your contacts into a CSV. It's more than a little crazy, but hey, it works. Once you have all the accounts set up then you’re ready to start exporting your contacts! Once you've logged into your Yahoo account, click on Contacts (icon at the top left). From the Contacts screen click on "Import New" in the Facebook section at the top. Then, follow the prompts to import your contacts from Facebook. Open up another tab in your browser. Now make sure you're logged into Gmail AND Yahoo. If you do not stay logged into Yahoo before you go to Gmail, you won't see the option to import from Yahoo. Once you're logged into Gmail, go to contacts.google.com. Click the "More" link located in the menu on the left. Select "Import." Once you click Import, a window will pop up and you'll see an option to import your contacts from "Yahoo Mail." Click that. 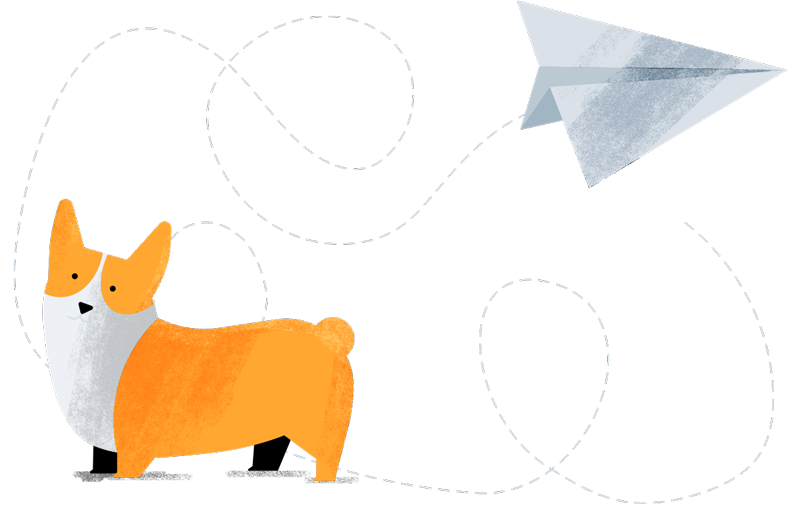 From there, just follow the prompts to complete the import into Gmail. For First users who have synced their Gmail, the next step is super easy: do nothing. In 24 hours your Facebook contacts will be loaded into first and you'll see just how likely each of your Facebook Friends is to sell in the next 6 months (if you're not using First, feel free to schedule a quick tour of the product here: https://www.first.io/request-a-demo). If you also want to import your contacts into a CRM or other outreach tool, it's still pretty easy. In Google Contacts, the same site you used to import your contacts, click "Export" (hint: it's located right under the Import link). Google will ask you if you want to go to the "Old Version." You do. So go ahead and click through. After you've navigated to the old Google Contacts page, click on the button labeled "More" at the top. From there click "Export." A popup will appear. In order to export only the Facebook contacts you just imported, select "The Group" then select "Imported from Yahoo Mail" from the dropdown list. All that's left to do is hit that big blue Export button. Once you click Export, Google will generate a CSV download of your contacts. Use this file to import your contacts into First, or any other tools you use that enable CSV contact imports. 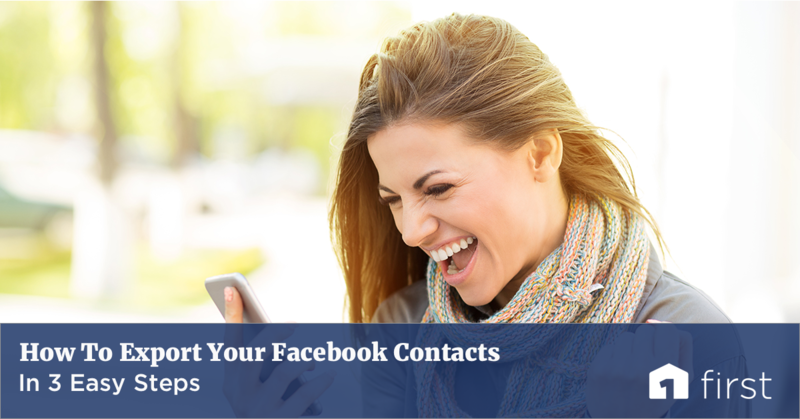 Simply pulling your contacts out of Facebook won't help you grow your business. If you don't call these people, meet them for coffee, or do something to make personal, meaningful connections with these people you've wasted your time. As Tom Ferry says, "The biggest reason agents fail is because they don't talk to anybody." Now that you've imported your Facebook contacts, you have a larger group of people that you're connected to and who need to hear from you soon.